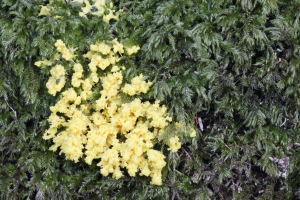 So just how fast do slime moulds run around? I was flipping through some pictures deciding which ones to delete and noticed that there are some slight differences between these two images taken 22 seconds apart. will have to try time lapse next time I come across a myxomycete (and have an hour or so to spare). Have included high resolution images if you want to see the small differences but don't spend too long looking as they are only slight.